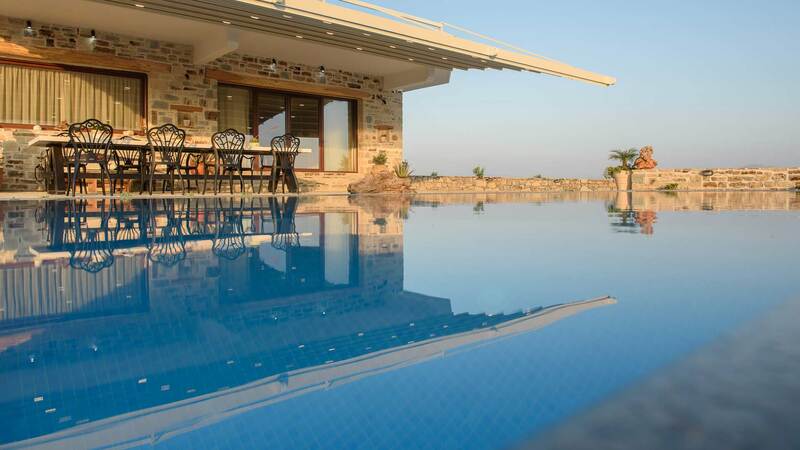 Zeus & Dione luxury villa with private pool takes hospitality and comfort to the next level! 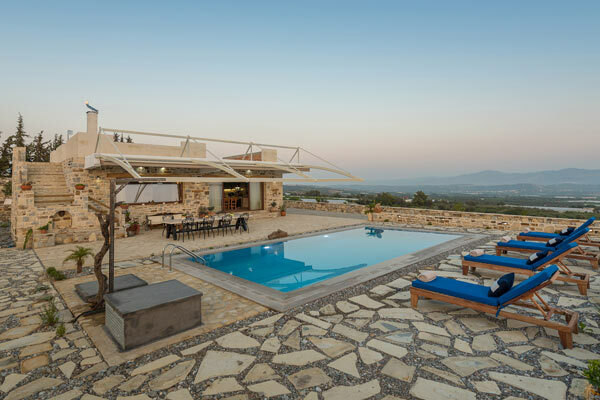 The luxury Villa "Zeus & Dione" is located on the lovely bay of Messara on the hillside of Lagolio overlooking the Mediterranean Sea and the Paximadia Island. With its comfortable ambiance the Villa is the perfect hideaway for those you are looking for a quiet & private holiday villa, but with all the amenities close by. 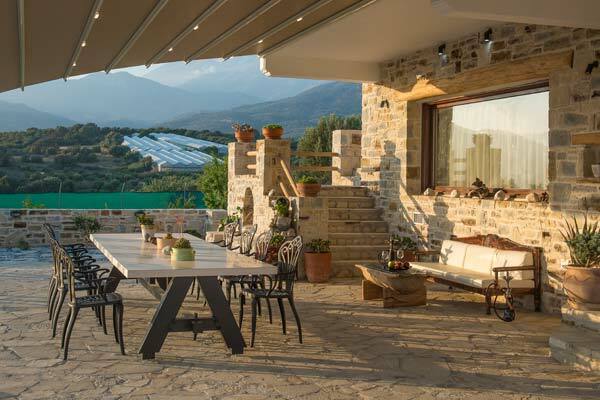 Because of the central location in South Crete you can use the villas as a starting-point for long or short adventures into the countryside of Crete island. Modern and individual in style the villa have been designed with comfort and luxury in mind, built with respect to the nature without disturbing the harmony and balance of the surrounding area, providing the same time all the comforts a visitor can ask for. 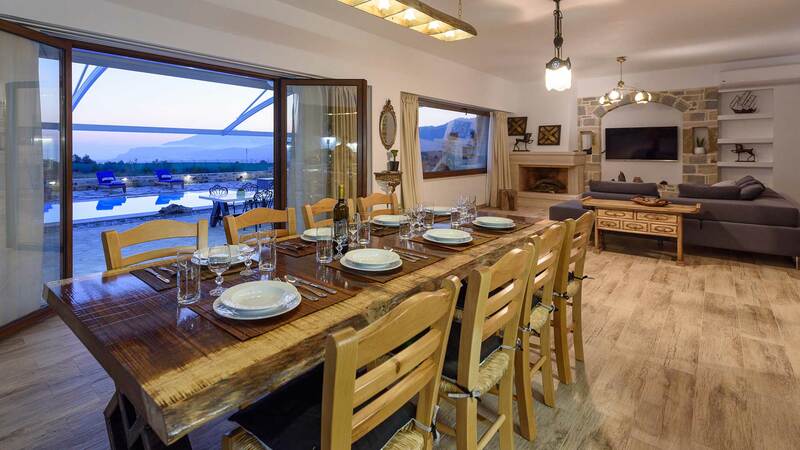 Built on one level, the villa is easy to access and offers a huge living room with working fireplace, fully equipped kitchen, dining room, toilet with shower and two bedrooms. Villa Zeus & Dione is bed in a large plot of 8,500 square meters with a living area of 165 m2 and offers a total privacy and individuality. In the quite sitting areas in the huge garden you will achieve recreation. Only 10 minutes drive to the beach of the coastal village Kokkinos Pirgos and 50 minutes drive to the old town of Heraklion or the Airport. 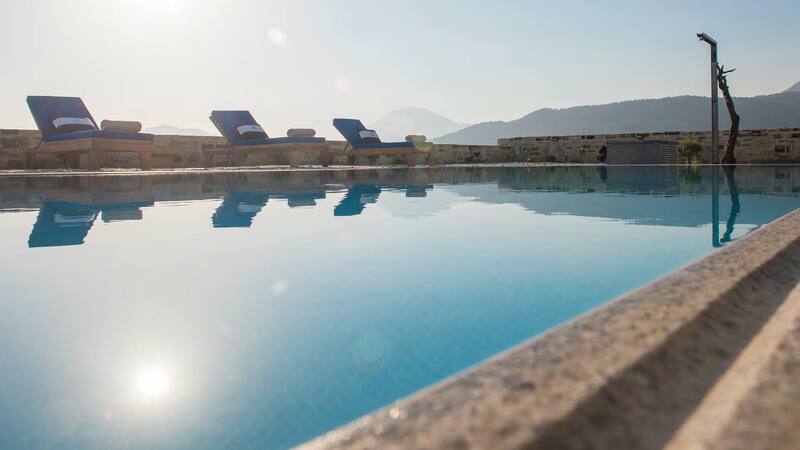 This charming Villa has a unique 360 view overlooking the surrounding area of gently sloping hills, small villages. In South you see the coast line of the Messara bay with the beaches of Kokkinos Pirgos, Kalamaki and Komos, in the North lies the attractive uplands of the Ida Mountains with the highest peak of Crete, the Psiloritis Mountain. The scenery is spectacular, especially the sunsets and views to the surrounding villages by night is amazing. 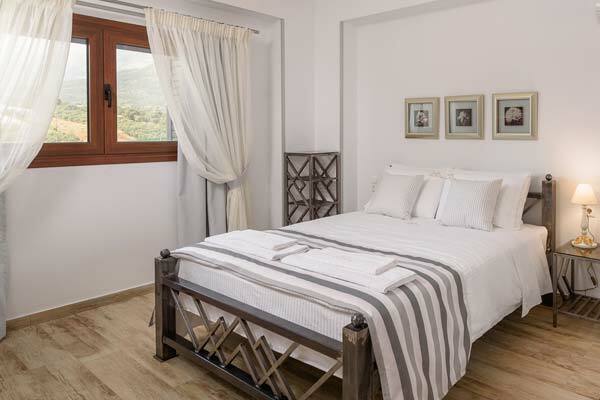 We wish you to have a pleasant stay at our Zeus & Dione luxury Villa for four seasons!